'We didn't take a broad enough view of our responsibility. And that was a big mistake and it was my mistake,' Zuckerberg says. Facebook Inc. (FB - Get Report) CEO Mark Zuckerberg appeared before a Congressional committee Tuesday in a four-hour testimony to answer questions about the social media giant's data privacy issues that have plagued the company in the past month. Zuckerberg addressed the Senate Committee on the Judiciary and the Senate Committee on Commerce, Science and Transportation beginning at 2:15 p.m. ET on April 10. He will also appear before the House Energy and Commerce Committee at 10 a.m. ET on April 11. 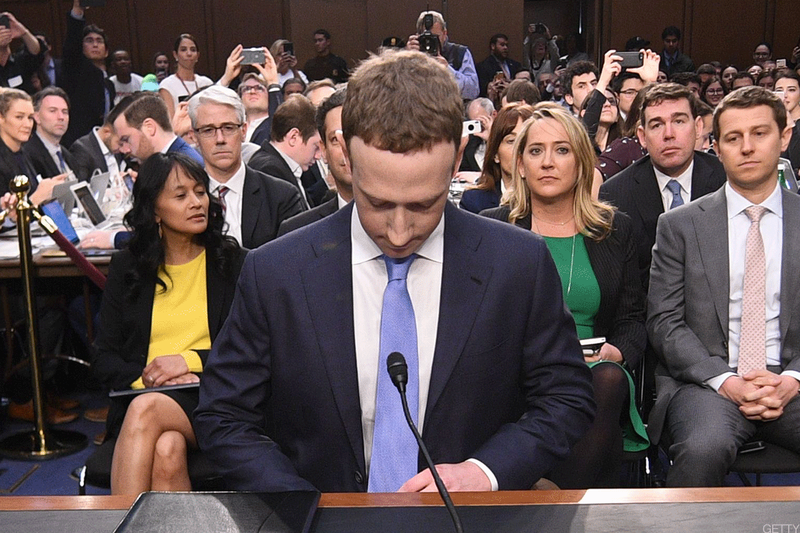 As cameras clicked and Zuckerberg took his seat Tuesday afternoon, Senators began their opening remarks before the CEO began answering questions. Sen. John Thune, R-S.D., honed in on Zuckerberg's responsibilities as a leader, beginning his opening remarks by saying, "We're here because of what you, Mr. Zuckerberg, have described as a breach of trust." "One reason that so many people are worried about this incident is what is says about how Facebook works," Thune said. "The idea that for every person who decided to try an app, information about nearly 300 other people was scraped from your services, to put it mildly, is disturbing. And the fact that those 87 million people may have technically consented to making their data available doesn't make most people feel any better," Thune said. Thune's comments came as Action Alerts PLUS holding Facebook this week began to alert some users that their data may have been compromised in the Cambridge Analytica scandal. "Right now I'm not convinced that Facebook's users have the information they need to make meaningful choices," Thune said. Thune did, however, praise Zuckerberg to some degree for his capabilities as a technology visionary. But he reminded the CEO that his presence on Capitol Hill is incredibly high-pressure. "You have an obligation, and it's up to you, to ensure that that dream doesn't become a privacy nightmare for the scores of people who use Facebook," Thune said to Zuckerberg. Sen. Dianne Feinstein, D-Calif., instead focused in her opening remarks on the alleged involvement of Russia in the Facebook scandal, plus the impact it might have had on elections. Zuck hopes for the best. Feinstein took both the audience and a solemn-faced Zuckerberg through every detail of the past several months, during which Facebook has found itself at the center of a growing controversy over both data licensing and the prevalence of fake news. "I believe that Facebook, through your presence here today, and the words you're about to tell us, will indicate how strongly your industry will regulate and/or reform the platforms that they control," Feinstein said. "I believe this is extraordinarily important. You lead a big company with 27,000 employees and we very much look forward to your comments." Zuckerberg offered his own opening statement before he took questions from Senators, striking a notably culpable tone. "We didn't take a broad enough view of our responsibility. And that was a big mistake and it was my mistake," Zuckerberg said. "And I'm sorry." "I started Facebook. I run it. I'm responsible for what happens here. So now, we have to go through our relationships with people, make sure that we're taking a broad enough view of our responsibility," Zuckerberg said. "It's not enough to just connect people. We have to make sure that those connections are positive. It's not enough to just give people a voice. We need to make sure that people are not using it to harm other people or spread misinformation. It's not enough just to give people control over their information. We need to make sure that the developers they share it with protect their information too," Zuckerberg said. "It will take some time to work through all the changes we need to make across the company, but I'm committed to getting this right," Zuckerberg said. He went on to explain Facebook's involvement in the Cambridge Analytica scandal, plus what his company has done in the past two weeks to ensure another such scandal doesn't happen again. In answering questions from Senators, Zuckerberg said Facebook is investigating "tens of thousands" of apps on its platform to make sure none that acquire mass amounts of data can become bad actors. Sen. Bill Nelson, D-Fla., pushed Zuckerberg harder. "The recent scandal is obviously frustrating. But only because it affected 87 million, but because it seems to be part of a pattern of lax data practices by the company going back years," said Nelson before asking Zuckerberg why Facebook didn't alert the 87 million affected that their data may have been involved in the scandal. Zuckerberg admitted that it's a mistake his company won't make again: "When we learned in 2015 that Cambridge Analytica had bought data from an app developer on Facebook that but shared it with -- we did take action. We took down the app and demanded that both the app developer and Cambridge Analytica delete and stop using any data they had," Zuckerberg said. "They told us they did this. In retrospect, it was clearly a mistake to believe them. We should have followed up and donate full audit then." A consistent theme in Zuckerberg's initial testimony was the nature of the company's founding. He repeated multiple times that he founded Facebook in his dorm room at Harvard, before much of the technology at play today was firmly established. "We make a lot of mistakes running the company. It is impossible to start a company in your dorm room and getting to the scale we are at," Zuckerberg said. "Because our service is about helping people connect, and information, those mistakes have been different. We try not to make this a mistake multiple times, but in general a lot of the mistakes are around how people connect to each other because of the nature of the service," he added. "Overall, I would say we are going through a broader philosophical shift in how we approach ours possibility as a company." Sen. Feinstein continued to push Zuckerberg on Russia's involvement in her questioning. She asked the CEO what Facebook is doing to prevent foreign actors from interfering in U.S. elections. Zuckerberg told her this will be one of his "top priorities" in 2018. "The nature of these attacks is that there are people in Russia whose job it is to exploit our systems and other internet systems as well," Zuckerberg said. "This is an arms race. They will keep on getting better in this and we need to invest and get better at this too," he said. Zuckerberg said the company will have more than 20,000 people working on security and content review at Facebook by the end of the year. 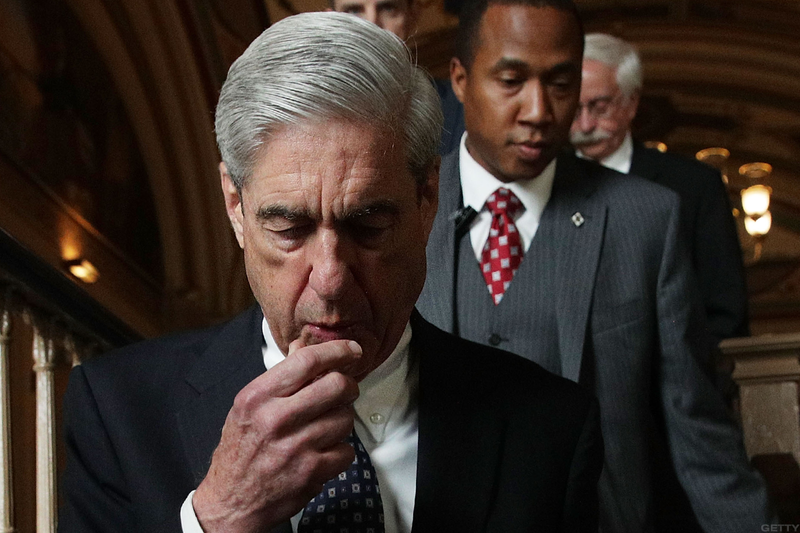 One of the pivotal comments in Zuckerberg's testimony came when he said the company is working with Special Counsel Robert Mueller in the investigation into meddling in the 2016 presidential election. While Zuckerberg wouldn't go as far as to admit definitively that Facebook received subpoenas, he did say, "we are working with them." Zuckerberg said he had not been interviewed by Mueller's team, but did say that Facebook employees had cooperated with the investigation in interviews. When facing questions regarding reports there could be a paid premium version of Facebook down the road, Zuckerberg said that there will always be a free version of Facebook. It's the company's mission, he noted, to connect the world and bring it closer together in a manner that anyone should be able to afford. Sen. Orrin Hatch, R-Utah, asked Zuckerberg how he planned to run a business that doesn't charge for its service. "Senator, we run ads," Zuckerberg said with a sliver of a smile, the first hint of emotion the CEO showed in nearly an hour of testimony. When it comes to regulation, Sen. Lindsey Graham, R-S. Carolina, asked Zuckerberg if he ran a monopoly. Zuckerberg attempted to explain that Facebook isn't just like Alphabet Inc. (GOOGL - Get Report) or Twitter Inc. (TWTR - Get Report) or any other technology platform. "My position is not that there should be no regulation," Zuckerberg said to Graham when pressed on how lawmakers should explain to their constituents that Facebook is doing a fine job of self-regulating. Zuckerberg said Facebook would welcome regulation if it is the "right" kind. He added that he would be willing to work with lawmakers in implementing appropriate regulation for the industry. Zuckerberg also faced significant questioning regarding the opt-in or opt-out features on Facebook. Many of the lawmakers questioning him pushed Zuckerberg to say that Facebook should automatically defer to an opt-in format for sharing data. Senators Richard Blumenthal, D-Conn., and Ed Markey, D-Mass., drove an especially hard line regarding the matter of opt-in/opt-out. The two lawmakers recently introduced a bill that would place constraints on data collection from Facebook and other online platforms. It's called the CONSENT Act, short for the Customer Online Notification for Stopping Edge-provider Network Transgressions. The bill would require an explicit opt-in submission of consent from users on platforms such as Facebook before the company could use, share or sell any personal information. It would also call on the firms to notify users when their data is utilized. Markey pushed Zuckerberg, asking if he could support such a bill. "As a principle, yes I would. I think the details matter a lot," Zuckerberg said, before Markey intervened again, asking for a more direct answer. Zuckerberg said he would, then added, "I look forward to having our team work with you to flesh that out." Sen. Tom Udall, D-N.M., asked Zuckerberg if he was angry about the interference and Cambridge Analytica scandal, to which Zuckerberg replied emphatically, "Absolutely." "The most important thing that I care about right now is making sure nobody intervenes in the 2018 elections around the world," Zuckerberg said. Facebook's stock was up 4.5% to $165.04 on Tuesday at the market close. In after-hours trades, the stock fell 0.14%. Year to date, shares are down about 6.5%.